Have you ever wondered what makes certain players so confident and aggressive at the net? For years, most of my life really, I thought it was something they just had and I didn’t. But over the last three years, that’s all changed. In fact, my friends hate playing against me in doubles now because I play so aggressively at the net. How did I go from a timid, conservative doubles player to an aggressive, confident player who controls points? Growing up in Memphis and traveling to junior tournaments around the southeast, I didn’t play a lot of doubles. Almost all of my practice and match time was spent on the baseline. When I did play doubles at the few tournaments per year that offered it, it was mostly two people at the net watching the players at the baseline rally crosscourt. I was praying that the opponent didn’t go down the line and embarrass me with a passing shot or make me hit a less-than-confident volley. After growing up and playing competitively off and on through juniors, I decided to give college tennis a shot at Birmingham-Southern College, a small Division III school. Here, doubles mattered. In each match, our team played three doubles lines and six singles lines. Given the small size of our team, I had no choice but to play more doubles. And it helped that our coach, Paul Rosner, was a doubles specialist who had represented South Africa in all four grand slams and made the third round at Wimbledon. Needless to stay, I started practicing volleys. I would do that windshield wiper drill where you have to move with your partner. In matches, I would follow my coach’s orders to poach more, which I never did in juniors. Yet while I learned to get a little more agressive, overall my style of play remained pretty conservative. And that served me pretty well at the time. 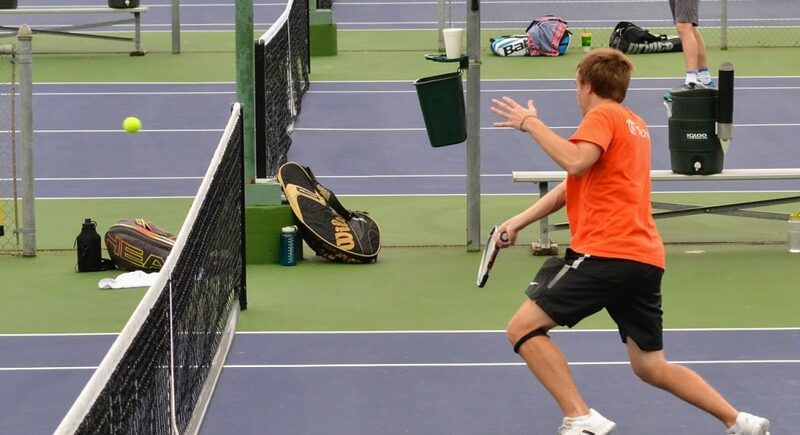 In fact, by the end of college I was moved up to play #1 doubles for our team simply because I didn’t miss much: Coach Rosner knew if he paired me up with our best true doubles player, I could make enough balls till my partner would end the point. After college, I took a few years off tennis before moving to Austin. I joined several tennis leagues and started playing tournaments to meet people. Quickly, I learned that I didn’t enjoy singles as much as I used to, and that doubles would be a great way to make friends. But I also realized I needed to get smarter about doubles strategy if I wanted to keep winning, as I wasn’t going to be able to practice 5+ times a week like I did in college. That’s when it dawned on me that the concept of competitive advantage I had learned in business might help. According to the Oxford dictionary, a competitive advantage is “a condition or circumstance that puts a company in a favorable or superior business position.” I set out to apply this concept of competitive advantages to my doubles game. And over the three years, that insight would transform the way I played doubles for the better. For instance, you know how right-handed players always say that left-handed players are tough to play? That’s simply because most players are right-handed, so they’re used to playing each other. But lefties are also used to playing righties. So the right-handed player has to make a bigger adjustment from their normal game, which gives the left-handed player a competitive advantage. Most players are scared to get passed down the alley. They moved forward and back, but not laterally. And they almost never poached unless they saw a really easy ball. Yes, I got beat up the alley more and started missing more volleys. But more importantly, my opponent started missing more returns. They started trying to hit more angle on their crosscourt shots as they saw me move from side to side. They started going for the line more but missing more than they made. From there it was a simple math problem. I knew if the opponent beat me up the line once, and missed twice, I’d win. And ever since, that’s usually what happens. The mindset shift that naturally happened when I started viewing doubles this way was surprising. I actually started understanding that it was okay to miss in some cases. And the fear of getting passed down the alley went away because I knew they’d almost certainly miss the next two attempts. Of course, this is an ever-evolving strategy that requires adjusting from match to match. But by starting to think about the idea of creating a competitive advantage and playing differently than everyone else, I’ve been able to get the most out of my skill set. And doubles has become a lot more fun, too. 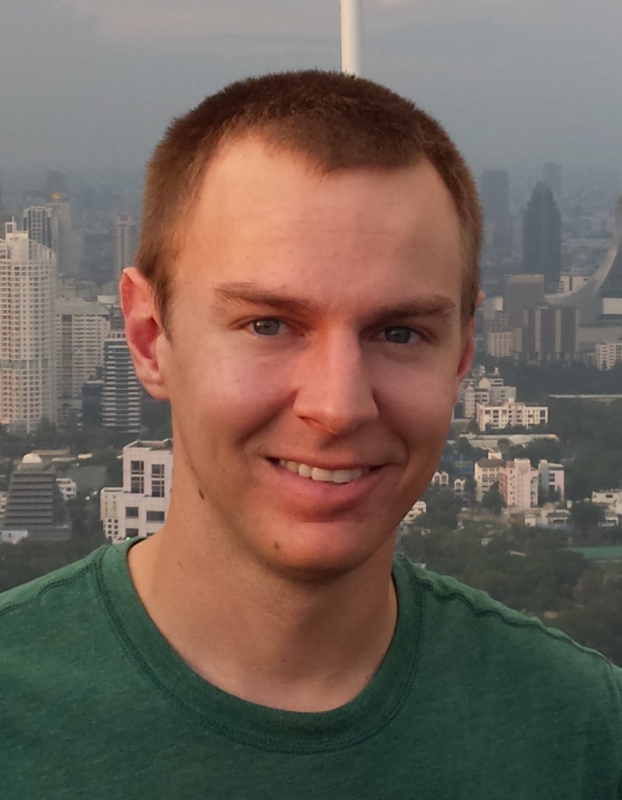 Will Boucek is the founder of The Tennis Tribe. He lives in Austin Texas and plays USTA 4.5 & 5.0 leagues and tournaments. 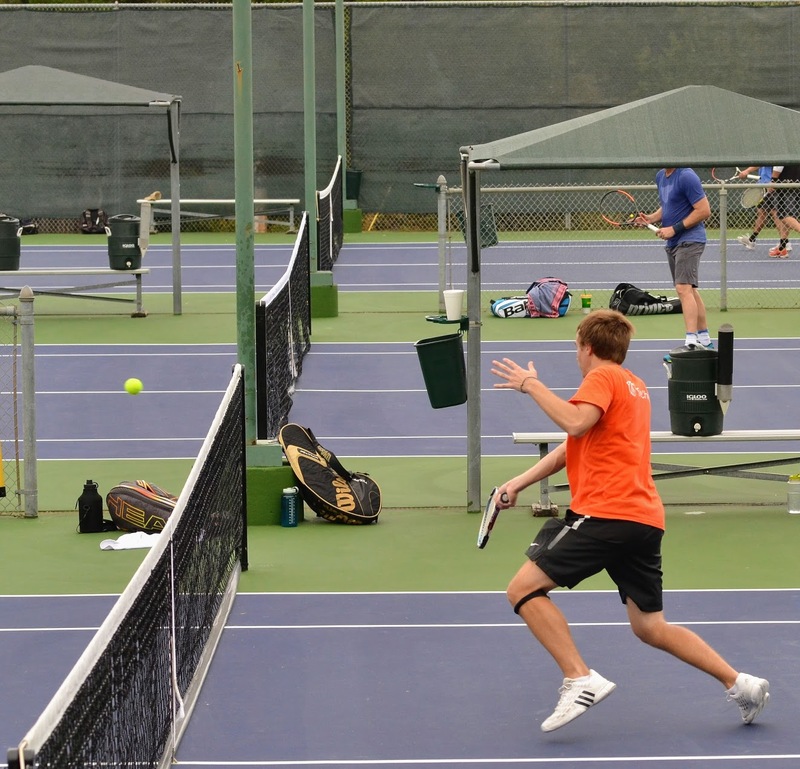 Will believes that by playing smarter instead of harder, players can improve their doubles game through mindset and strategy rather than hours of practice.